Yet another piece of art! This is very eye-pleasing. I've always been a sucker for stairs like these, and the drawbridge at the top is executed perfectly. The amount of detail at the gate is also top-notch. Ooh, really, really nice. The tower itself is fantastic, the way it is designed and mottled, it's so open and just great. The well is cool too, and the tree and plants are fantastic. I really like the stairs too, and the Crusaders look really good with the kettle helms. This reminds me a lot of CAI's Tower of Judgement, I think be cause of the faction and photography, as well as the MOC itself. Edit: I just saw the sword holder in this pic, it's ingenious. That's really awesome. One detail I love is the telescope on the top balcony. Also I love the well; both the mechanism and the stones making the round sides. This really gives a good feel of a slightly overgrown, and really old, but still in great condition tower. Excellent presentation too! Exquisite! A very beutiful MOC. There is a TON of detail to it, he included a well, implemented that lamp design we discussed here a little while ago, and used burps for some of the rock base. Look at the sword holder next to the door in this picture and the neat telescope on the same landing. The amount of mottling is perfect, I love the use of tudor sections, and the butresses are implemented well. I looked up the meaning of Col du Mont and it basically means mountian pass, so this castle is a tower perhaps guarding a pass between mountains. It looks to be about the right size for that. It also helps that it's a crusader fortress... I really like this one Bruce, thanks for posting about it! smcginnis wrote: Edit: I just saw the sword holder in this pic, it's ingenious. Actually, Jojo used that in his Hall of Something, and it was used, I think, in Alaric's Keep (old topic floating around here). Buy yes, I like it too. The one thing I don't like is the gratuitous use of those three-leaf peices in the landscaping on the rock face. It's probably just personal flair, but I hate those peices. Everything about this Moc is great. The mottling, all the vegetation, the overall structure of the tower and gatehouse, the well, and of course the excellent photography. I hope to see more from this builder. Excellent tower and landscaping, lot's of vegetation never hurts I also noticed for the first time that an epaulette will fit under the euro armor. Looks cool. Edit: Looking again..I see mushrooms! Mushrooms always work man..always. 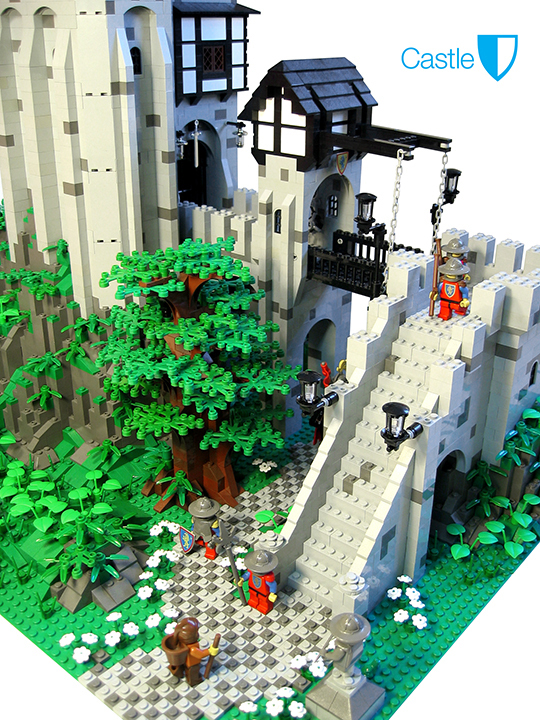 smcginnis wrote: This reminds me a lot of CAI's Tower of Judgement, I think be cause of the faction and photography, as well as the MOC itself. Me to, especially since he used the same lamps in my Tower. I'm glad he liked them enough to use them. Although he used a clear/trans while I used a yellow/trans. I wonder if it has any sort of interior? I don't see any pics of one, and I don't see any section that would open, unfortunately. While a MOC this great doesn't need one it would be great to see. Wow, thanks for showing this! P.S. I am SO going to steal that weapon rack idea. Thanks for pointing it out smcginnis. Well, thanks to everyone who posted such positive responses to my little MOC. Your kind comments were enough to bring me out of my "occasional lurker" status. I thought it would be unfair not to credit some of the builders whose work inspired me as I was working on this project. User CAI, yes I loved the lamp design you used, I don't know if you were the originator, but great design. 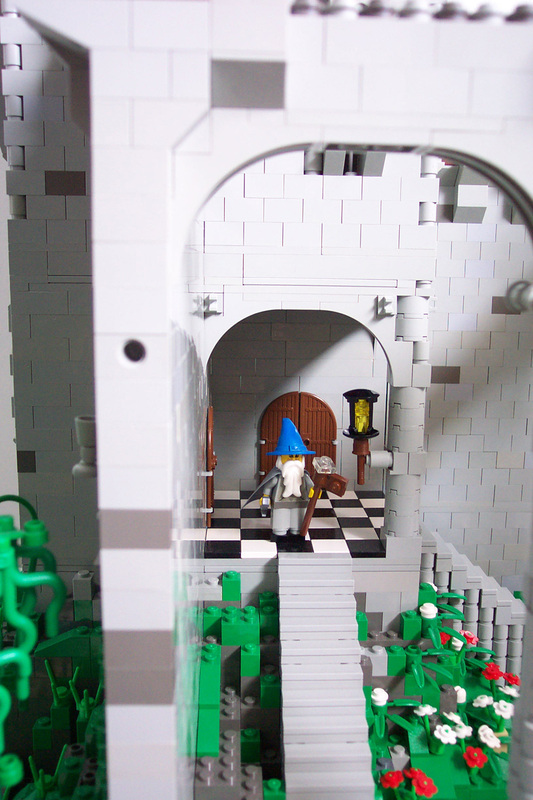 The sword holder came from Brickshelf user Denix. I just came out of my dark ages in January 06 and now I'm totally hooked. 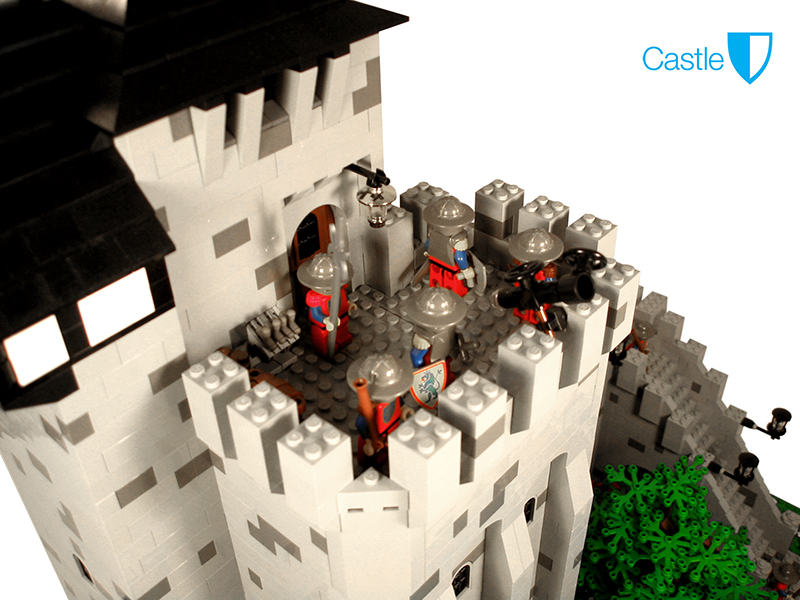 I've often credited the Lego building I did as a kid with helping me to develop my creative skills, and leading me to a career in Design. I hope to post more of the work I've been doing soon. PS. There's no interior yet, but I'm working on another tower now and will be working on an interior for that project. One thing at a time! Any criticism or feedback is always appreciated. Last edited by brody on Sat Jun 03, 2006 3:12 am, edited 2 times in total. I can see you'll be a super addition to this site, I hope to see more of your MOCs soon. Welcome, Brody! We're very glad to have you here. I can't wait to see your next project(s). Awesome tower! Love the landscaping too, overall its an incredible creation, I hope to see more from you.